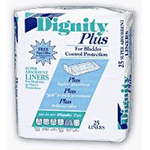 The Dignity Pocket Pant has a built in waterproof pocket with moisture proof side walls that holds an absorbent pad. The top side of the pocket (nearest you) has a ""stay dry mesh lining"" to keep you comfortable. 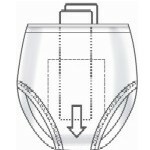 The pant is made of a soft cottony feel fabric made of 50% cotton and 50% Polyester and can be machine washed and dryed. Available in four sizes from small to extra large. 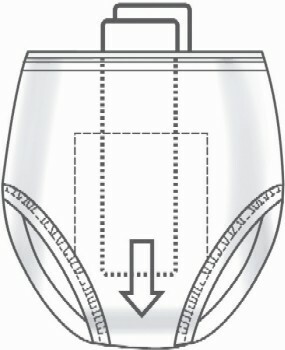 The absorbent incontinence pads shown in the right hand column are recommended for use with the Pocket Pant.